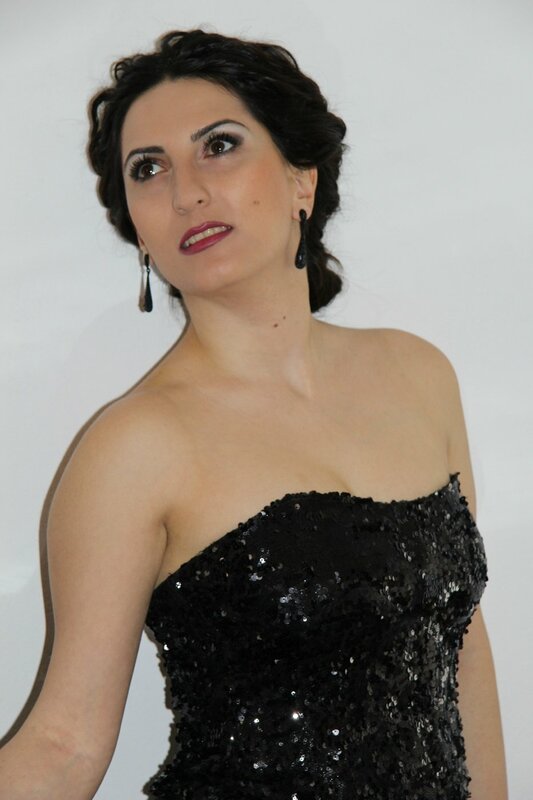 Armine received her Bachelor’s and Master’s degrees in academic singing from the Komitas State Conservatory of Yerevan and currently studies there on a doctoral level. She has given a number of solo recitals and very often performs with the piano and chamber ensemble accompaniment in Armenia. In 2013 she toured USA as a member of the vocal trio Etno. She has participated in the master classes of Marianna Harutyunyan, Verena Rein, Marianna Nicolesco and at the Académie musicale de Villecroze. In 2004, she won the 1st prize in Aram Khachaturyan Young Musicians’ competition; in 2010 she became a laureate of International Competition Veratsnund; in 2012 she became a laureate of Hariclea Darclée International Voice Competition in Romania; in 2014 she was one of the laureates of Gohar Gasparyan Voice Competition in Armenia. Since 2011, Armine has been a soloist with the Song and Dance Ensemble of Armed Forces of the Republic of Armenia and with the St. Gregory the Illuminator Cathedral.